How to Change TimeZone in Windows? We deliver Windows VPS with default time zone MST - Mountain Standard Time. You may need to change the default time zone with your home time zone. 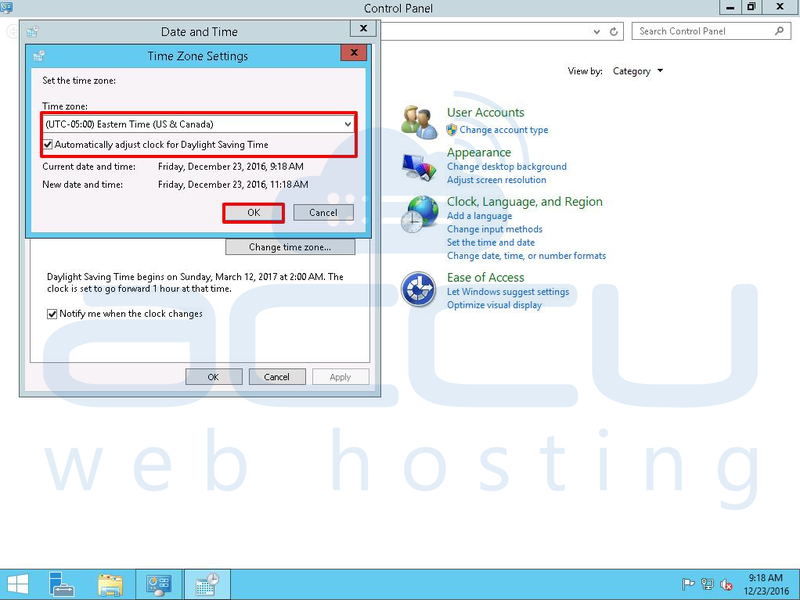 This article will assist you to how to change the time zone of Windows VPS via RDP (Remote Desktop Service). 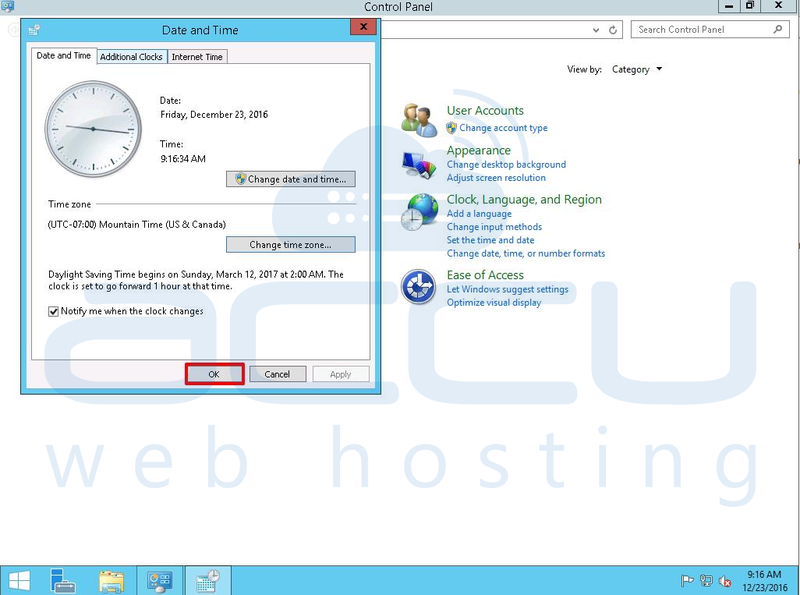 Note that you'll need administrative access to change the timezone of Windows VPS. 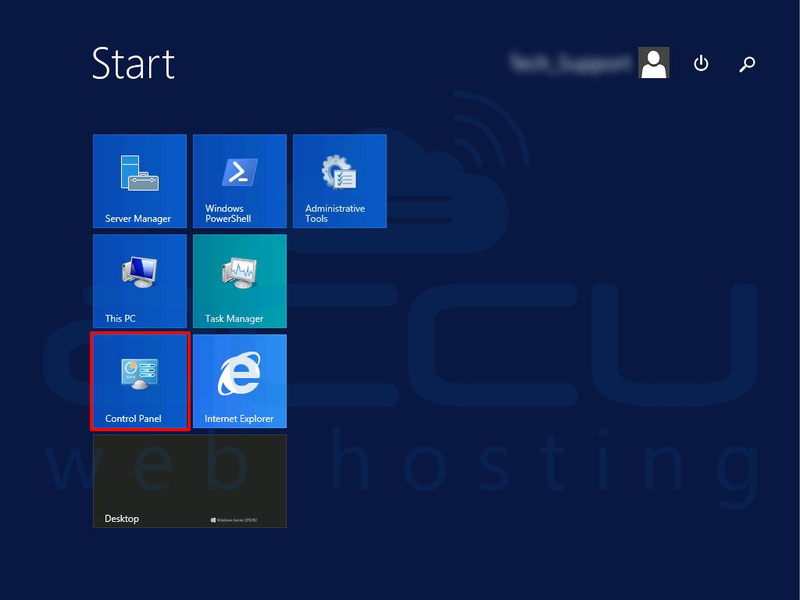 Login to your Windows VPS via RDP (Remote Desktop). 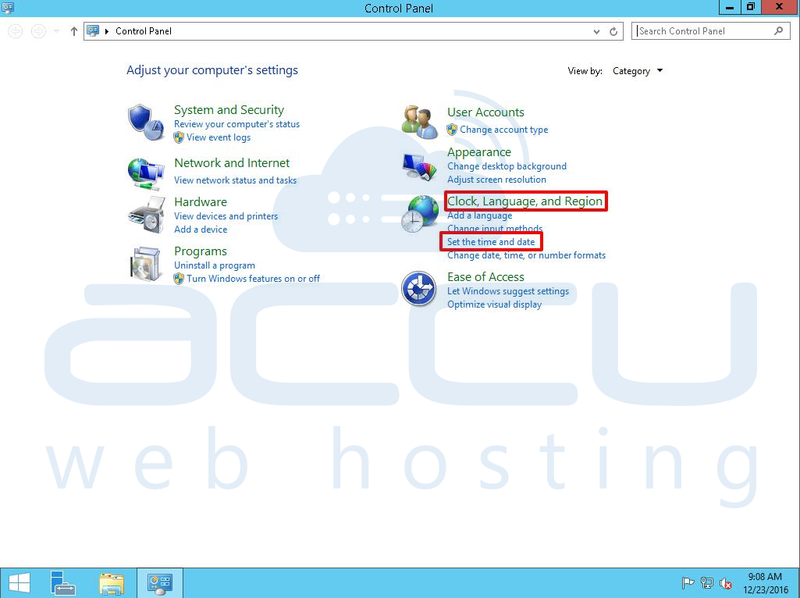 This tutorial will guide you to connect to Windows VPS server using the RDP from different operating systems. In the Control Panel tab, Under Clock, Language, and Region menu, click on Set the time and date. On the Date and Time tab, click on Change time zone. In Time Zone Settings tab, select the time zone from the drop-down list and click on Ok. If your time zone has Daylight Saving Time, then click on the checkbox to Automatically adjust clock for daylight saving time. In Date and Time tab, click OK and the new time zone settings will be applied. How to disable RC4 ciphers from the Windows Server 2008?